Who am I? I am an SLP fellow - Pune Batch 2014 - 2015. I did B.Com (Hons) from Delhi university and spent some time in the corporate world. I experimented with corporate training,...Read moreWho am I? I am an SLP fellow - Pune Batch 2014 - 2015. 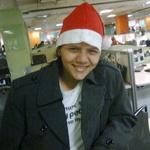 I did B.Com (Hons) from Delhi university and spent some time in the corporate world. I experimented with corporate training, customer service and a couple of other roles. Before long, I realized that I would be better off working in a more open environment that the corporate world offers. I took to volunteering for various NGOs; where I tried helping slum children and poor women overcome the hurdles of society. I had successfully lead a seven women team to become completely self dependent by making and selling paper bags. I have a passion for making things better and organized. I love sharing my knowledge, listening to people's problems and help them come up with a solution. I co founded a food networking platform www.plattershare.com along with my friend and colleague Ankush Kumar Dhiman and recently stepped down from my role of co founder since the vision was starting to get blurred. I am a person for whom human relations and personal growth is of paramount importance and thus, I like contributing towards the society in any way possible. I love working with people and have a solution oriented approach towards life. I am balanced, organized and a critical thinker. I think my experience in different roles helps me bring a lot of value to the table for any given project. Why do I work and what I want to gain with my work? • Meaningful relations and network that would help me in my personal growth. • Have a better lifestyle. Another great job, improved the format of the report, worked fast, delivered as promised. Shilpa is a good communicator, understood the brief and worked a few glitches out too along the way. Very pleased so far. Will ask to do more work for sure. Shilpa is a fantastic contractor. We have worked together in the past and I will continue to work with Shilpa again in the future. Shilpa had a great understanding of the project and demonstrated an ability to think out side the box in order to get the job done. Although slightly differnt to Shilpa's usual skills he adapted very quickly. Great at thinking outside the box in order to get the job done. Thanks Paul. I am grateful. Would like working with you again. I appreciate the support and patience you always showed while we were on the project. Shilpa has been great and continues to work on projects. Thank you Shilpa for your great work. I do appreciate your kindness and communications skills as well as the speed and quality of your work. Thanks Fotis for all your support and guidance while I was doing the project. You made things easy by being there an dby answering all my questions. You definitely drive exccellence.